The Indian commercial vehicle (CV) segment has been reeling under multiple blows on the back of multiple macroeconomic challenges, leading to a significant impact in the financial performance of original equipment manufacturers (OEMs). This led to a significant correction in the stock prices of players in the space, making their valuations reasonable. 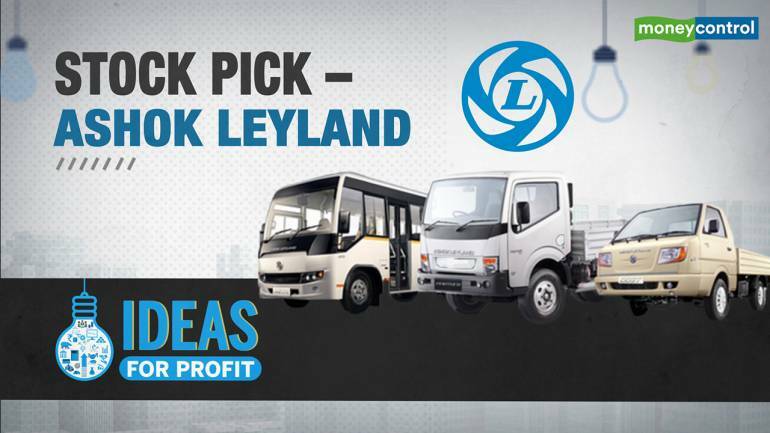 We have identified Ashok Leyland (AL) as an idea for profit, amid a weak industry scenario. The stock has de-rated significantly, down 58 percent from its 52-week high and is factoring in most negatives. We continue to exude confidence in the company on the back of a demand pick up due to pre-buying ahead of Bharat Stage VI implementation, scrappage policy, government’s continuous focus on infrastructure and mining activities. What led to significant correction in the stock prices? The Indian automobile industry has been facing challenges on the back of weakening macroeconomic environment, leading to muted sentiments for automobile sector including CV. The subdued market sentiment is on account of liquidity problems, financing issues, rising interest rates and slowdown in economic activity. This was, further, aggravated by the lag impact of new axle load norms in the CV segment. In fact, slowdown in economic activity ahead of general elections has dampened demand. We expect demand to remain weak in the short term. Then, what could work in favour of the company? Long-term growth outlook remains promising on the back of economic growth, rising income levels, lower penetration, government’s thrust on increasing rural income and focus towards infrastructure and construction. The management expects 10-15 percent industry growth and is confident about its positioning and products. Another important trigger for the company is the upcoming BS-VI emission norms, which is expected to lead to pre-buying as new BS-VI compliant vehicles would be more expensive than current ones. Apart from this, the government’s scrappage policy would potentially led to replacement of 200,000-300,000 trucks, which are over 20 years old. This should benefit the company. AL has a strong footing in defence. The management has identified defence as one of its key growth drivers for the future and continues to focus in this direction. It believes that the government’s increasing focus on defence is very positive for the long-term prospects of the sector. Moreover, the management expects export market to be the next leg of growth for the company. It indicated that initially AL used to export only buses, but now they export the entire range of products, which would help the company to gain market share. It has started focusing and manufacturing more left hand drive vehicles as well. It is also eyeing to set-up assembly plants in CIS region and African countries. Amid market volatility and weak demand outlook, the stock has corrected quite significantly, thereby making valuations attractive and giving investors a good entry opportunity. The stock is currently trading at 12.6 times FY20 projected earnings, which is very reasonable for the company like AL. Though investors are little wary of the departure of its MD and CEO, Vinod Dasari, the management has assured that there will not be any business impact during this transition period.